Expectations: Vishal Bhardwaj-Gulzar, two big names and they have collaborated a lot of times and most of the times they have managed to impress us. 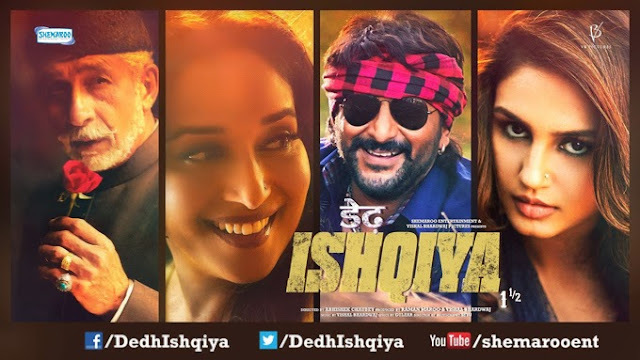 And last Ishqiya flick won the National awards for both Best Music Direction and Best Female Singer, so expectations, from the sequel, are naturally high! NOTE: One must credit Bharadwaj for being one of the few music directors around who still adhere to the traditional music forms of the film industry. Needless to say, faith in Mr. Bhardwaj's musical capabilities are, once again, cemented and anchored down strong! The album has almost no mass apeal, but the music of Dedh Ishqiya will find it's audience. Vishal Bhardwaj & Gulzar give the 2014 Bollywood music scene a classy and heady start! Excellent!